:Create promotional material that spans various media platforms, crossing interactive and print formats. :All products are original, organic, non-GMO, cold-pressed, never heated,and nutrient-dense. The variety of products is what makes BluePrint unique and makes it stand out. Bright, energetic colors emphasize the freshness and trendiness of those juices, as well as the power and metabolism boost the consumer gets. 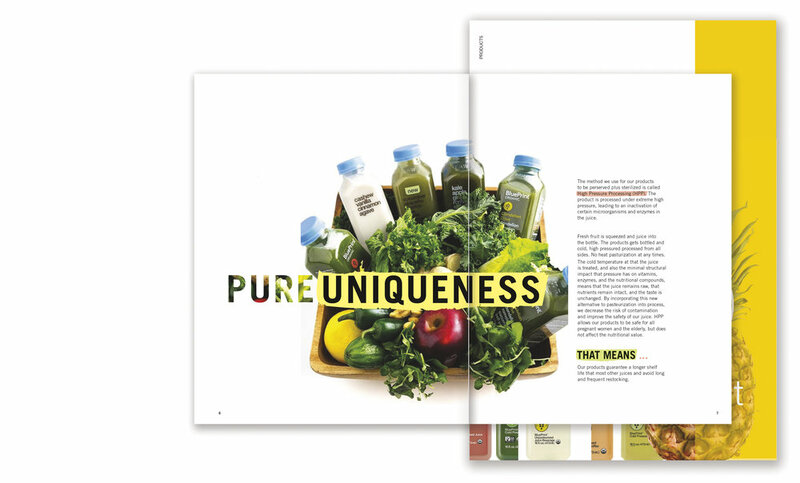 The unique structure of the brochure resembles how the different ingredients are layered into the bottle before being mixed together. E-blast coupons complete the system.